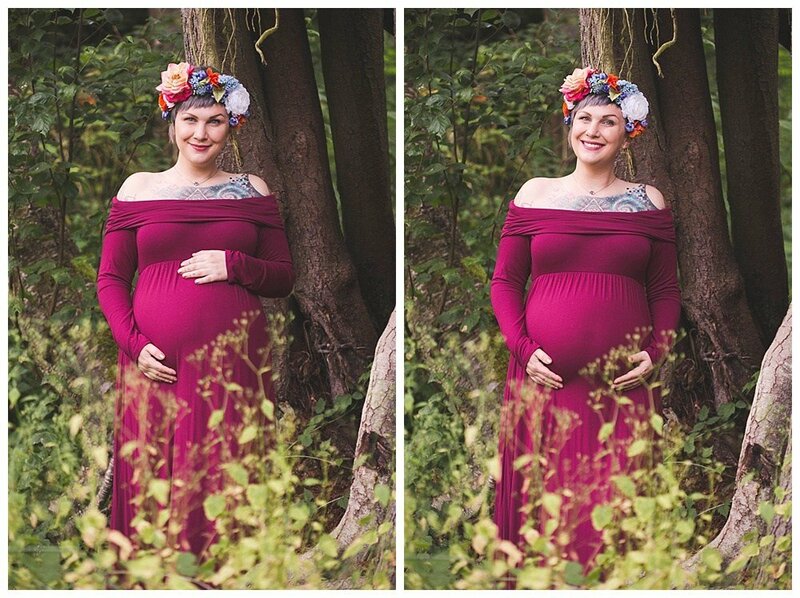 Katy booked me early on in her pregnancy and wanted maternity, birth and newborn photos. We chatted over coffee about what photos were most meaningful to her. 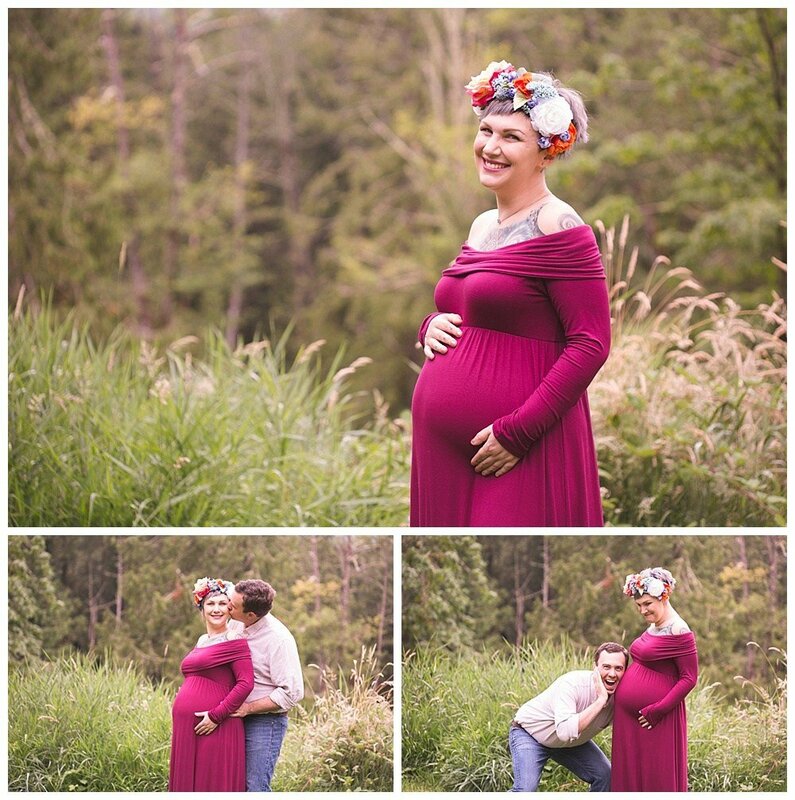 Now, just a month away from her due date, we finally got to meet up for her maternity photos. 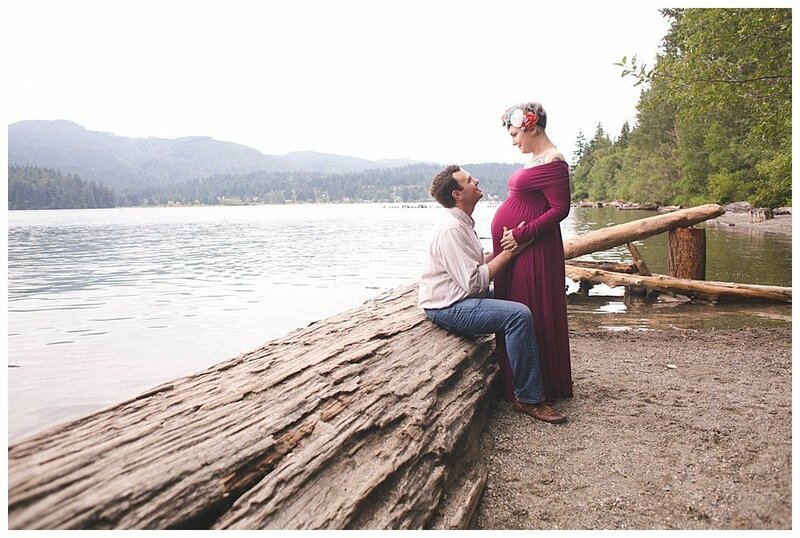 I suggested a beautiful spot in the woods…Katy and Bob agreed but also wanted some water in their images to reflect the beautiful Pacific Northwest. I got so excited when I saw the beautiful dress and flower crown Katy chose for her session. It was absolutely perfect. The long, flowing dress in magenta contrasted with the green of the woods. The flowers in her hair matched the location perfectly. Katy herself was glowing and vibrant. I had so much fun at this session. 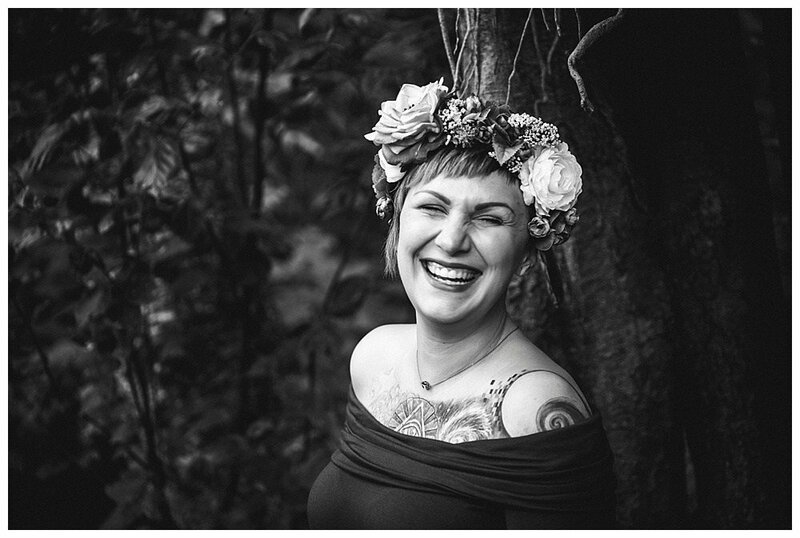 Katy and her husband both have a great sense of humor and we laughed through much of the session. After we finished up in the woods Katy braved a trek down a local hiking trail so we could get some images in front of Lake Whatcom. I think we can all agree it was worth the effort. 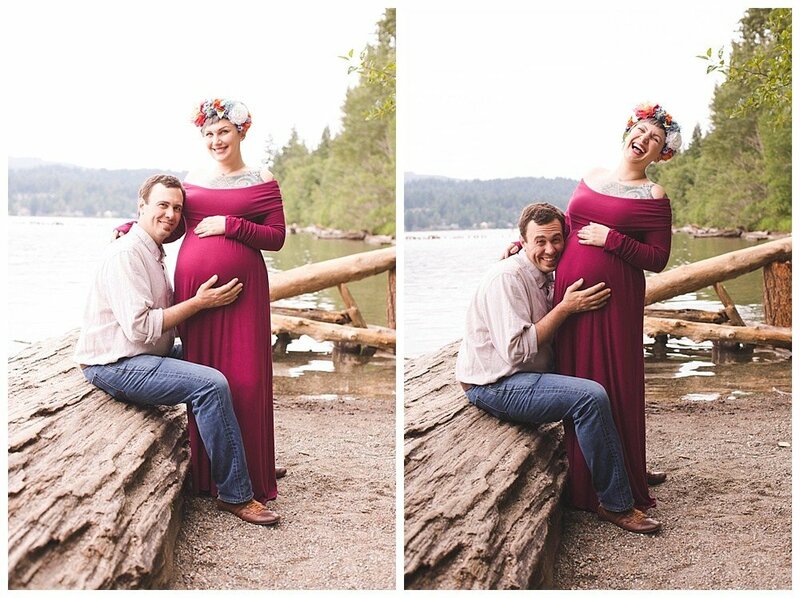 Thank you so much, Katy and Bob for the fun maternity session. I can’t wait to meet your little one in just a few weeks!